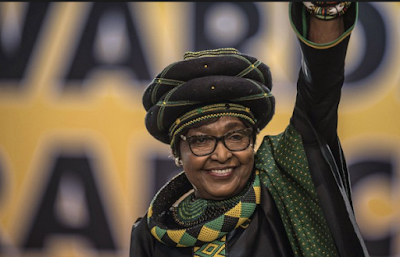 Winnie Madikizela-Mandela has been hospitalised with a kidney infection. The 81-year-old was a South African anti-apartheid activist and is the ex-wife of late President Nelson Mandela. She is commonly known as ‘the mother of the nation’. Times Live reported that she had complained of a ‘loss of appetite’ on Tuesday and that ‘one of her legs was painful’. Her spokesman Victor Dlamini said she was taken to Milpark Hospital in Johannesburg on Sunday, and that she is expected to make a full recovery. ‘Upon admission it was discovered that she had an infection that had affected her kidneys,’ Dlamini said in a statement on Tuesday night. Madikizela-Mandela has been in and out of hospital since 2016 for back and knee surgery.